We’re often called on by our clients to help problem solve challenging projects – and we love a challenge! 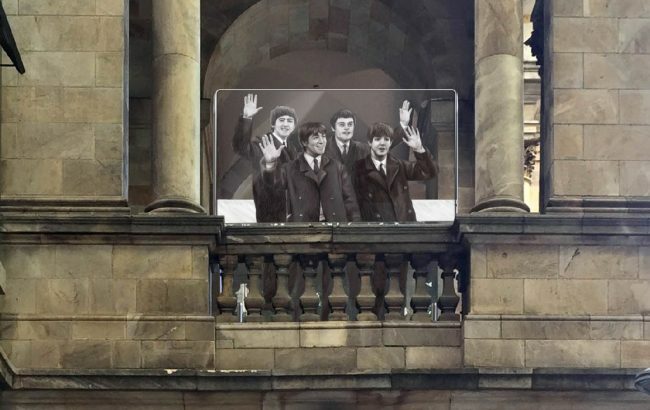 When Adelaide City Council approached us to help illustrate and produce a 2m x 2m glass installation of The Beatles, to be installed on the Town Hall Balcony to commemorate the 150th year of the Town Hall, we jumped at the chance. 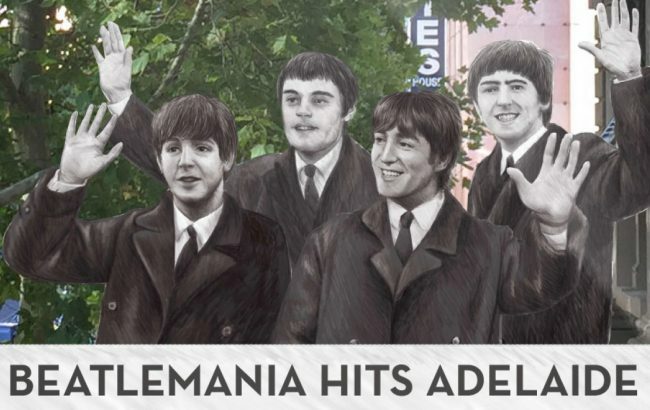 The Beatles visited Adelaide in 1964 and were welcomed by more than 300,000 screaming fans – the largest gathering the legendary band attracted anywhere in the world, equating to about 20 per cent of the SA population at the time. 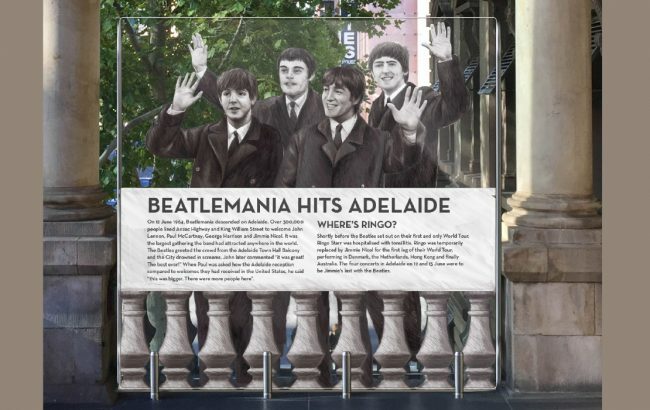 The artwork features John Lennon, Paul McCartney, George Harrison and Ringo Starr’s stand-in for the tour, drummer Jimmie Nicol (Ringo missed the Adelaide leg of the tour due to tonsillitis). There was no, one single photo existing of the Fab Four all standing together on the balcony so we reconstructed the illustration from over eight separate individual photos taken at the time to produce the final design. The artwork was then printed and placed between two sheets of thick glass and can cleverly be viewed from the balcony itself, or from the ground looking up. We worked with leading glass specialists Chevron, and signage company, Visualcom, on the production, together with staff from the Town Hall who constructed a frame for the installation to safely and securely sit in. The result looks amazing and we encourage everyone to visit the Town Hall balcony on King William Street, Adelaide, to check it out.